All families have stories that are passed from one generation to another. The beginnings of some clan stories go so far back in time they have become legends. So it is with the Magtolis clan. One of my favorite family legends is about the earliest Magtolis. My father used to say that one way of testing whether a Magtolis is a genuine relative is to find out if he or she knows this legend. In ancient days the islands were covered with forests where many animals roamed, and the seas were teeming with wonderful sea creatures. People hunted them for food. The earliest Magtolis once went on a sea voyage. A horrific storm broke out and his boat sank. All his companions were swallowed by gigantic waves and drowned. Fortunately, my ancestor’s life was saved by a huge turtle, which allowed him to cling to its back. Eventually, the turtle took him to the shores of a seemingly uninhabited island. My ancestor walked and walked until he reached the edge of a vast forest. He was utterly lost and did not know where to go. He had already abandoned all hope when he spotted a deer that kept on looking at him. The deer would take a few steps, stop and then look at him. Perhaps the deer wanted to make sure that my ancestor would follow him. While he was following the deer, my ancestor could hear monkeys screaming high up among the trees. They pelted him with wild fruits that he gratefully ate. He would have starved to death without the monkeys who fed him. Thus, he walked for days, with the deer as guide and the monkeys feeding him, until he reached a settlement. The people living near the forest told him where he was and helped him get back to his home island. From then on, my ancestor vowed that none of his descendants would ever eat the flesh of these animals that saved his life: the turtle that carried him on its back, the deer that guided him to a village, and the monkeys that fed him. He laid a curse on all Magtolises who would harm these creatures. This at a time when land and sea creatures were hunted down and eaten! My father heard this story from his mother who sternly warned him to pass on the story to all Magtolis descendants. 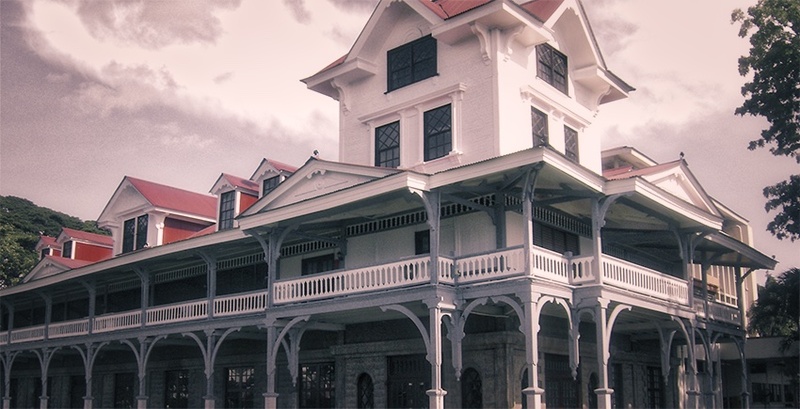 During the 1920s, my father was sent to Silliman University in Negros Oriental to study. He thought there were no other Magtolises in the province. He then heard of an old Magtolis who lived in a town more than a hundred kilometers away. The old man was so delighted to find a young relative that he prepared a sumptuous dinner. The main fare was a delicious-looking meat dish. My father took a bite and asked what it was. The old man answered that it was venison, the royal dish of kings. Upon hearing this, my father vomited out the food and apologized to the relative. He then recounted the clan legend. The old man wept with joy and embraced him as a true relative. I was once in Norway for a United Nations meeting. We were taken to a restaurant that served the “royal dish of kings.” It was supposed to be a very special treat. I refused to eat venison because the legend is part of what I am. We don’t know if clan legends are true stories. Nonetheless my brothers and sisters are passing the story on to their children and grandchildren. Last night I recounted it to my seven-year-old grandchild. She fell asleep with a smile on her face. She is now the bearer of a clan legend. The name of the game these days is citizens’ participation. Governance is no longer the exclusive turf of government officials. Citizens want to know what governments do with their tax money. They also want to have a say on where their money goes. In the Philippines more citizens want to engage local governments. Last Friday Social Watch Philippines and the Civil Service Commission, with the support of the United Nations Development Program launched Toward An Informed Citizens’ Participation in Local Governance: A Sourcebook on Local Public Finance. The book is written by a formidable team of women experts: Ma. Gladys Cruz Sta. Rita, Cielo Magno, Leilani Galvez and Jessica Reyes-Cantos. Gladys, Cielo and Jeck are economists while Lani is a CPA. All have master’s degrees. All have worked with the government. While it deals with technical matters, the book is written in a non-technical manner. Read it, use it and engage your local governments! Who determines who is hungry?